This one-of-a-kind Artist Wedding "Cake" Box is covered with Vintage Wallpaper with a gorgeous pattern of Pink Roses and the sweetest little Rose Buds. Topped with a Vintage Wedding Cake Topper from the 1950's, the groom dashingly handsome in his black tuxedo; his bride stunning in her white lace wedding dress, and veil. They are about 4" tall, and made of chalkware. 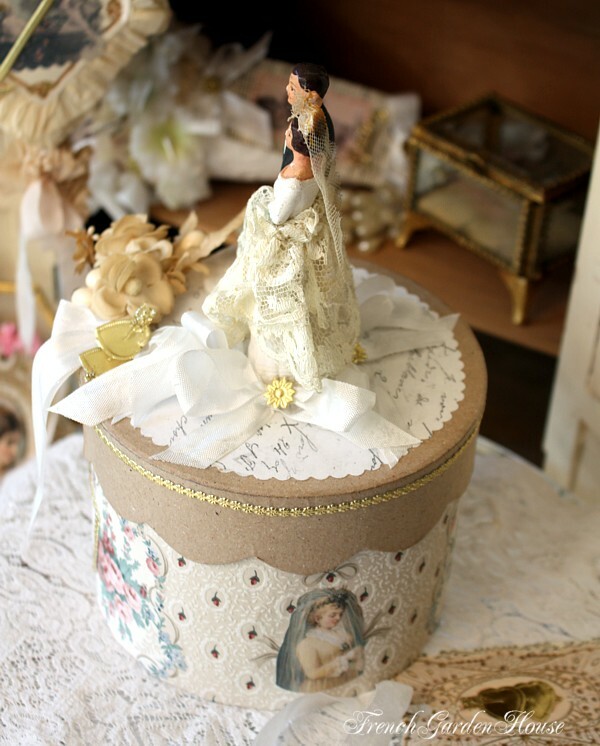 The box is embellished with Vintage Cream Millinery Roses, Fern Leaves and glittered Buds, vintage gilt dresden trim and glittered Hearts, silky White Ribbons and reproductions of antique Bridal Prints from our FrenchGardenHouse collection. Once you lift off the scalloped top, there is the surprise of a French Antique Floral Scrap underneath the Pink shred. Signed by the artist on her signature Pink "Wish" ticket. Comes with a glittered tag for you to personalize. 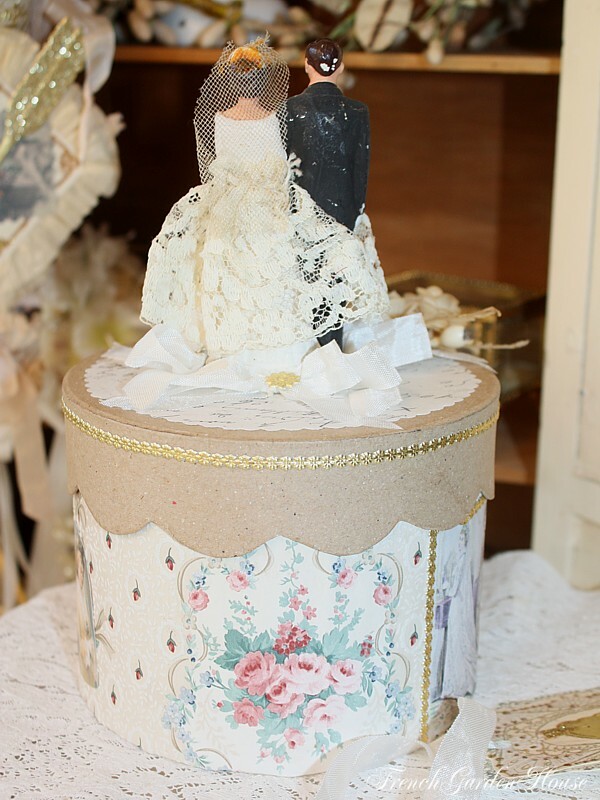 A fabulous gift for a Bride, the centerpiece for your Wedding Shower to display on a cake stand, or a perfect keepsake for those of you who collect antique and vintage Wedding Toppers!